Greater recognition of sepsis in hospitals and the community could prevent thousands of deaths and save the NHS millions of pounds annually, Alex Cunningham has said. Labour’s Stockton North MP was commenting after attending a reception hosted by the Chair of the All Party Parliamentary Group on Sepsis in the House of Commons to show his support for efforts to tackle the relatively unknown illness, which claims the lives of 37,000 people every year – including 1,000 children. Sepsis is a life-threatening condition that arises when the body’s response to an infection damages its own tissues and organs. It can lead to shock, multiple organ failure, and death, especially if it is not recognised early and treated promptly. Sepsis is the leading cause of death from infection around the world and, despite advances in modern medicine such as vaccines and antibiotics, acute care experts believe not enough is being done to save lives. The event in Parliament, supporting World Sepsis Day on 13 September 2015, aimed to raise awareness of a condition that kills more people than breast cancer, bowel cancer and prostate cancer combined. The reception was supported by the Cycle for Sepsis campaign, with the UK Sepsis Trust’s teams cycling more than 700 miles from hospitals in England, Scotland and Wales to raise awareness of the devastating disease by tweeting, posting and sharing their heart-breaking stories at each stage of the journey. At the reception, the Department of Health welcomed vital steps for healthcare professionals to follow in the case of a dangerous fever – a “paediatric toolkit” designed by the UK Sepsis Trust – in a bid to drive down death rates. The Trust also launched a screening tool for healthcare professionals and pocket guide for parents, incorporating the new concept of Red Flag Sepsis in children. 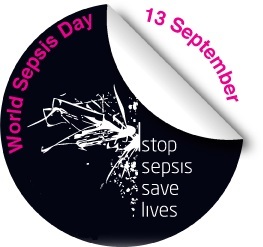 “While sepsis is a condition which may not hit the headlines, it is deadly. If the timely interventions proposed by the UK Sepsis Trust were adopted across the NHS, up to 12,500 lives could be saved each year and the NHS could also save money into the deal.